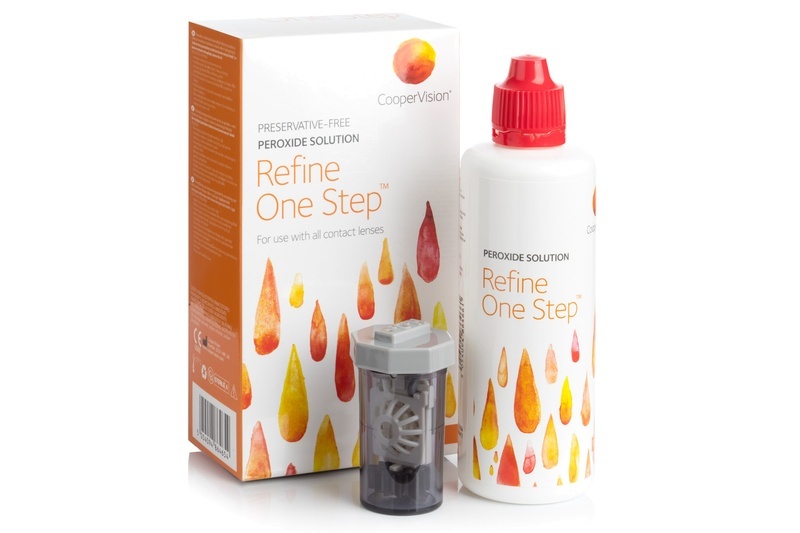 Refine One-Step is a peroxide solution designed for cleaning, disinfecting and storing contact lenses in one easy step. It contains gentle surfactant cleaner, which is a crucial part of hydrogen peroxide and comes with a special case with a neutralization disk. Refine one-step peroxide solution is preservative-free and provides easy and safe care of all contact lenses, including silicone hydrogel. Refine One Step peroxide solution cleans, disinfects and lubricates contact lenses as well as removes protein. It is not designed for rinsing. When using Refine One Step solution, it is necessary to keep the time needed for neutralisation and always use it with the enclosed original case comes with a neutralising disc. Contact lenses must stay in the case for at least 6 hours and ideally overnight. After the neutralising process, the contact lenses can be reinserted.